The holidays are upon us once again. Huzzah. [In case you missed that, cue lack of enthusiasm…now. No wait….now]. I’m not really a celebrator of all things X-mastian or holidaciousness these days. That’s fine with me. I’m going to spend X-mas morning scooping out cat poop as a volunteer at the local animal shelter my wife works at. Then I’m probably going to drink beer. Awesome. But my gimpy space heater and this hot cup of coffee are kicking off some warm fuzzy vibes this morning, so I thought I’d take a moment today to share some links to excellent articles written by a few of the many fellow game journalists, freelancers, and other writer folks that I dig. Cheers! UPDATE-SAUCE w/ MOAR MOAR MOAR! Do you have any recommended articles from fellow game journos, freelancers, writer folks you’d like to recommend? Hit me up on Twitter, post a link in the comments section below, or send an e-mail, and I’ll add the best ones to this list below. Dig this article? Follow freelance writer and game journalist @nmeunier on Twitter. Also, please consider telling your peeps about it and spreading the good word via Facebook, Twitter, and other social networking sites below. 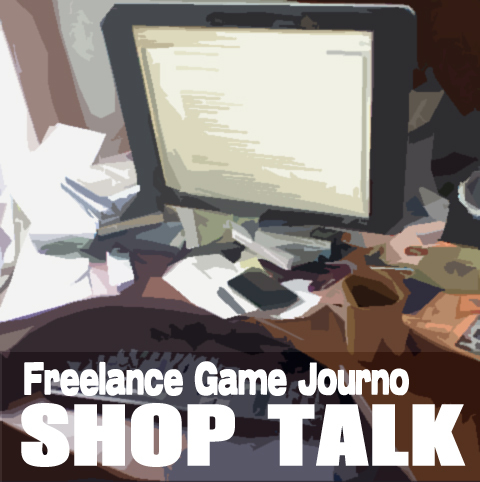 This entry was posted in Freelance Game Journo Shop Talk and tagged andrew hayward, articles, chuck wendig, freelance writing, freelancing, game journalism, game journos, game reviews, games, leigh alexander, link share, mitch dyer, writing advice by nmeunier. Bookmark the permalink. I just want to thank you for posting resources like this. It’s very helpful and it’s clear you not only love what you do but you enjoy sharing that passion with others.